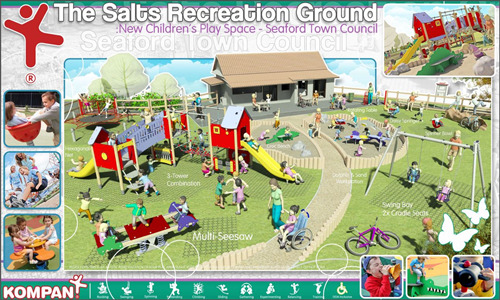 The Salts Play Area - Construction starting soon! Following the successful completion of the public consultation for new play area at The Salts, the winning manufacturer, Kompan will soon be starting work on the site. The play area site will be closed from Thursday 21st May 2015, for the duration of the project; and where required some neighbouring areas may need to be closed temporarily in order to work on certain parts of the project. 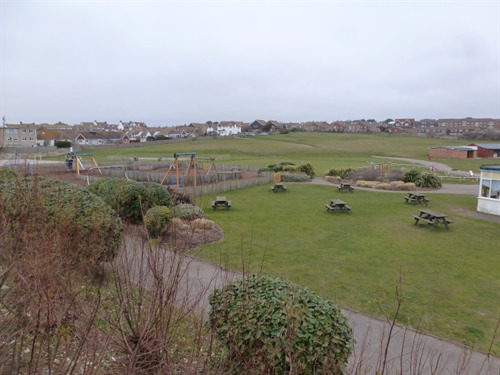 Seaford Town Council would like to apologise for any inconvenience caused during this time, please be patient during this exciting time, while we work to complete the all new play space for the summer! In addition further consultations will soon be taking place in relation to Skate Park and Tennis Courts. 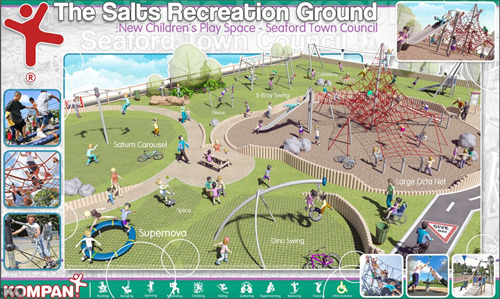 To find out more about plans for The Salts and to keep up to date with progress please either visit Seaford Town Council’s website or like Seaford Town Council on Facebook and Twitter.